Mobility 21 members have already hit the ground running this year with efforts at the local, state and federal levels. Through an active speakers bureau program and several trips to Sacramento and Washington, D.C. planned, Mobility 21 is engaging new Coalition members and forging strong partnerships to keep transportation at the forefront of our state and nationʼs priorities. Feb. 15-17: Mobility 21 advocacy trip to Washington, D.C.
Mobility 21 Coalition members and partner agencies have revved up advocacy recently on an important transportation issue. Due to provisions in Propositions 22 and 26, the gas tax swap passed by legislators last year must be voted on again and passed with a two-thirds majority. Without reenactment, transportation will lose out on as much as $2.5 billion annually causing delays to transportation projects in every county and slowing our stateʼs economic recovery. After Mobility 21 and other transportation groups joined forces last week to reach key lawmakers, the Assembly Budget Subcommittee heard us loud and clear: protect transportation funding or risk significant project delays and job losses. Our work is not over. Mobility 21 urges you to communicate your support for the reenactment of the gas tax swap to your elected representatives. Our focus will be on educating new members of the legislature and returning members who may not realize the true implications of not taking action. Watch for updates in the coming weeks on this critical issue to protect highway and transit funds. Sound off on our Facebook page or e-mail Kristin Slocum, Mobility 21 Communications Manager. With your permission, weʼll share your stories with legislators during our advocacy trips. 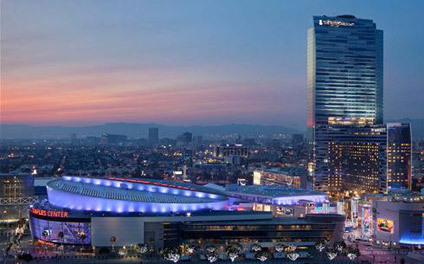 The site of the 2011 Mobility 21 Summit, the JW Marriott at L.A. is situated in the hear of Los Angeles, close to transit and many attractions. Celebrating a decade in bringing together elected officials, transportation providers, businesses and community leaders to develop solutions to our region’s toughest transportation issues, Mobility 21 is heading back to Los Angeles where it all started for its tenth annual Southern California Transportation Summit. After hosting the largest Summit in its history last October, this yearʼs Summit will be held on Friday, Sept. 30 at the brand new JW Marriott at L.A. Live. The full-day event will feature morning and afternoon breakout sessions, three general sessions, an expansive transportation expo, 2011 Mobility 21 Award winners, cutting edge information and exciting speakers from around the nation. Sponsorship opportunities will be announced soon. Have ideas about topics or speakers for this year’s Summit? E-mail us! 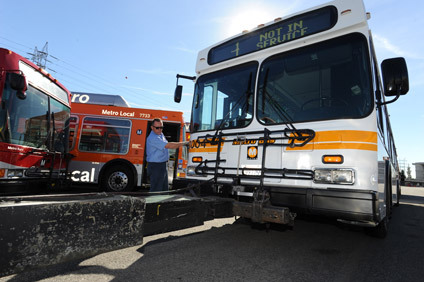 During a press conference this month, the Los Angeles County Metropolitan Transportation Authority (Metro) retired its last diesel bus. Metro is the first major transit agency in the world to have a fleet of buses completely run on alternative fuels. Measure M1 allocates all sales tax revenues to specific Orange County transportation improvement projects in three major areas freeways, streets, roads and transit. Marking an important milestone for Orange County, March 31 is the sunset of Measure M1 and the beginning of Measure M2 – Orange Countyʼs voter approved half-cent sales tax for transportation. To commemorate the achievements and transportation benefits of Measure M1 and to build on the momentum of success in the future of Measure M2, Mobility 21 is co-hosting a reception with the Orange County Business Councilʼs OCMoves and WTS Orange County. Save the date of Thursday, March 31 to attend this special event with guests who contributed to the success of Measure M1, including past and present OCTA board members, Mobility 21 board members, OCTA CEO Will Kempton, former OCTA CEOs and other dignitaries. Together with the San Diego Association of Governments (SANDAG), Mobility 21 will host a reception for the California Transportation Commission (CTC) honoring their dedication to keeping Californians moving, even amidst challenging economic times. Join us on March 23 from 5 to 7 p.m. at San Diegoʼs Copley Symphony Hall for an evening of networking with transportation professionals and elected officials. Sponsorship opportunities available. E-mail Marnie O’Brien Primmer for more details. The University of Southern California (USC) Associated General Contractors (AGC) Student Chapter will host its annual Construction Management Symposium on Thursday, April 21 at the JW Marriott at L.A. Live. Focusing on sustainability in transportation, the Symposium includes a reception, dinner and a series of speakers. Each year, the event attracts a multitude of individuals from the engineering industry as well as developers, lawyers, government officials and many more. 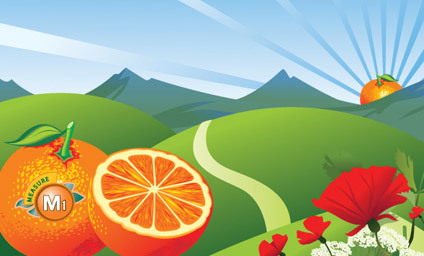 Metro CEO and Mobility 21 Board member Art Leahy will be honored with a 2011 USC Visionary Award during the Symposium. 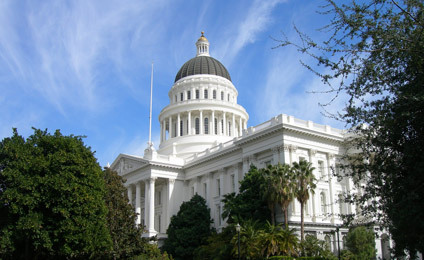 Speakers this year include past Secretary of Transportation Norman Mineta, California High-Speed Rail Authority CEO Roelof van Ark, Secretary of Transportation and House Agency Dale Bonner and Executive Director of Caltrans Cindy McKim. If Mobility 21 members register by Monday, Feb. 28, a 20 percent discount will be given off the ticket price. To register for the event, use the discount code M21Discount at checkout. Next Post	Southern California Transportation and Business Leaders Fight for Mobility and Jobs in Washington, D.C.